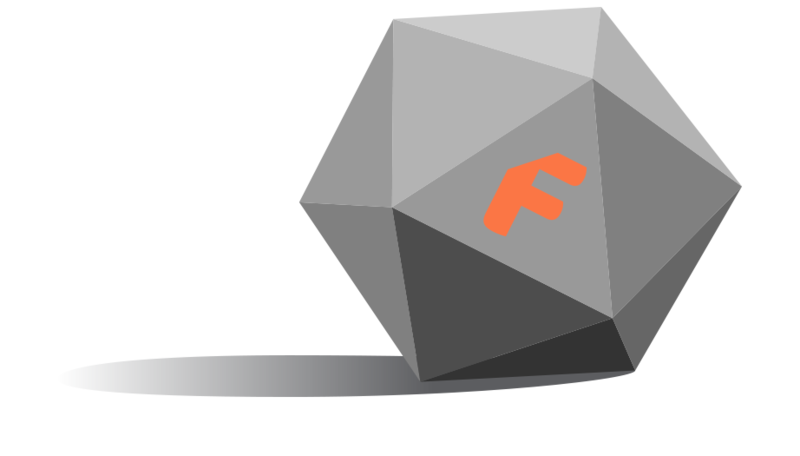 Fun-Shots moves between a wide variety of tabletop game systems and a mix of previous and brand new cast! From single session one-shots, to 2 – 4 session short stories, Fun-Shots covers shorter narrative arcs than the broader shows, and serves as a testing ground for possible future shows as well as game systems that need playtesting. 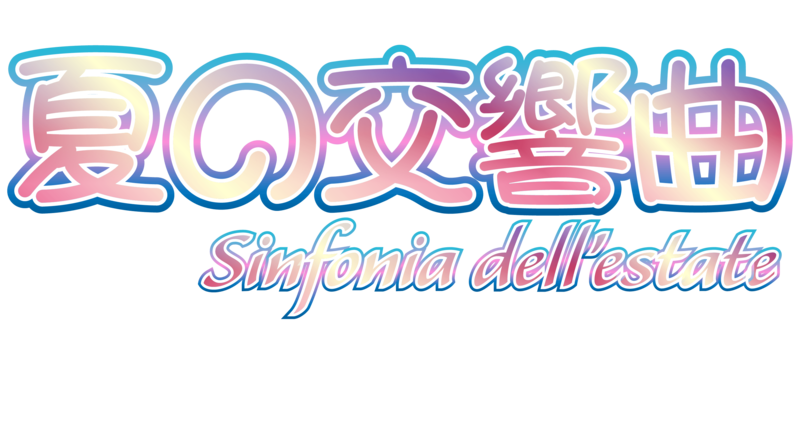 Sinfonia dell'estate is an anime-themed one-shot using Magical Fury, an Apocalypse Engine system designed to emulate magical girl anime like Sailor Moon. Background art falls under a CC-BY 4.0 license by Konett (Angel Wareman). Travel! 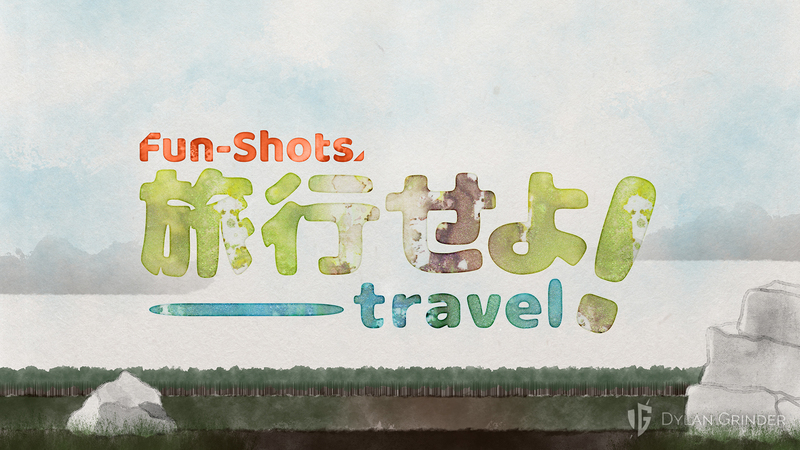 is an edition of Fun-Shots run in the Japanese RPG system Ryuutama. 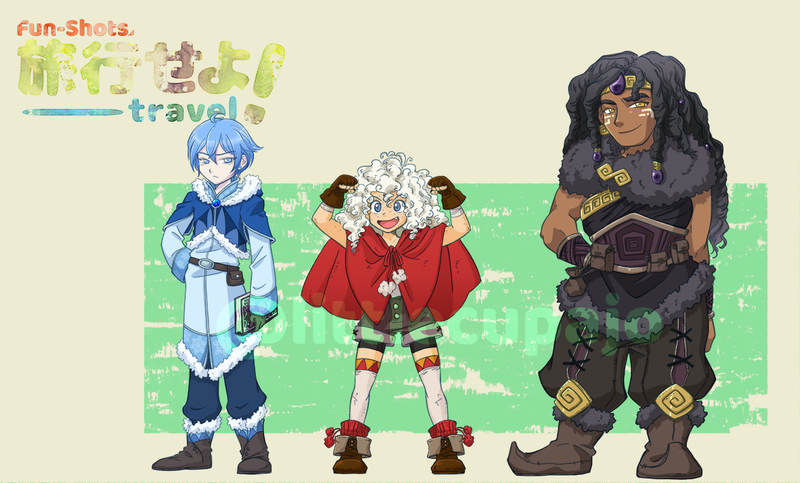 Described fondly as "Hayao Miyazaki's Oregon Trail," the system focuses on journeys and collaborative storytelling in a pastoral Japanese fantasy setting not unlike classics such as Final Fantasy. Character art by Jessica Osborne. 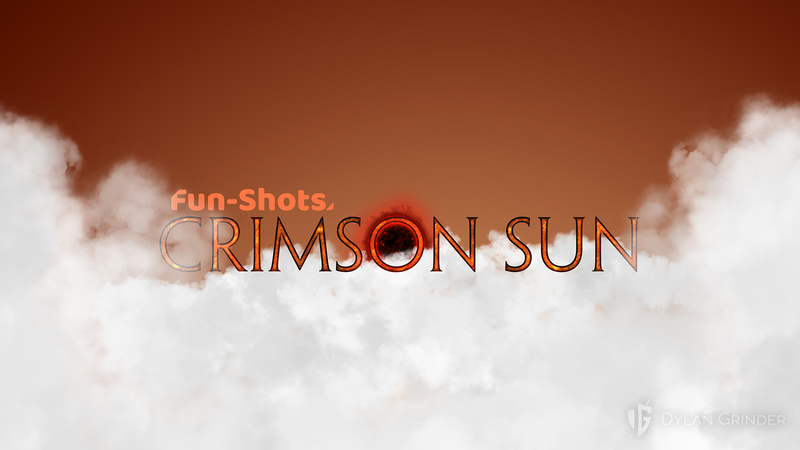 Crimson Sun uses the Heroines of the First Age system to tell a story about the end of an era. When the sun turns red, the mystic auguries claim it is an omen fortelling the end of the First Age, when the civilizations of monsters will fall and make way for an age of mortal beings. Becoming is a tabletop RPG currently in development. In it, players take the role of artificial intelligence in a simulated city: The Network. Throughout a typical campaign, players solve mysteries and define their own identities in response to their actions and failures. 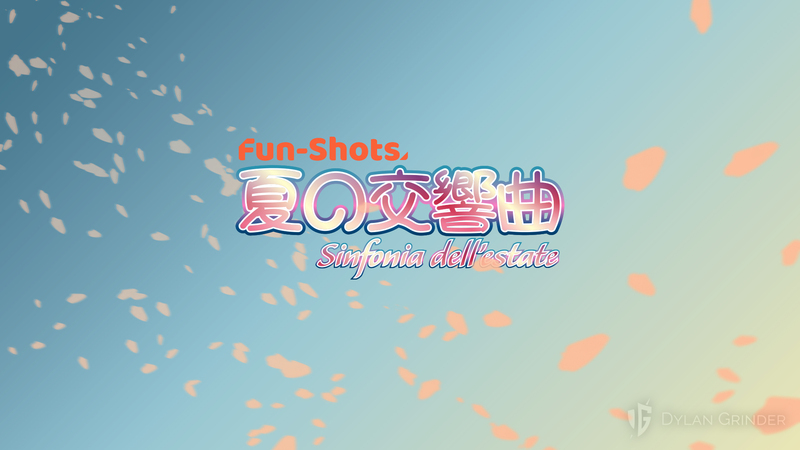 The game is featured on Fun-Shots for playtesting. 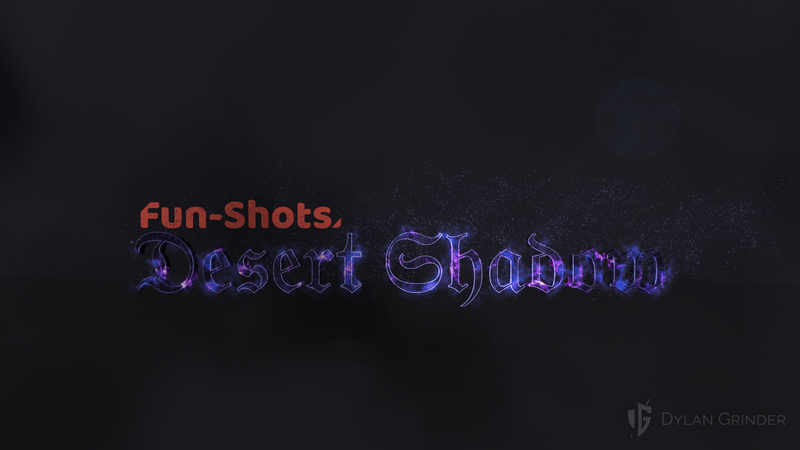 Desert Shadow is a Blades in The Dark one-shot in which the players must respond to the whispers of a dark god, forming a cult in the city of Kethrys. 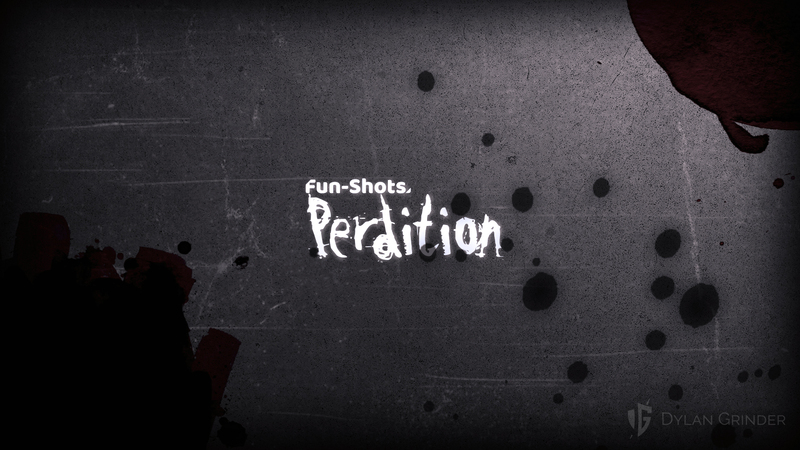 Perdition is an Oubliette 2nd Edition one-shot. Oubliette is a game built on the Fate Core system that explores gothic horror in an afterlife where every denizen is a both truly unique — and forever forgotten by the mortal realm.